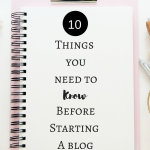 September 17, 2018 By Morgan M Woods Leave a Comment This post may contain affiliate links. 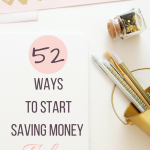 Do you need a way to make extra cash each month? 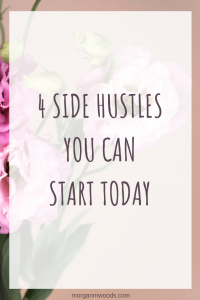 Here are 4 Side Hustles You Can Start Today! Having a side hustle is a great way to make some extra cash in your spare time. Even if you feel like to don’t have much time to spare there is a side hustle to suit you. 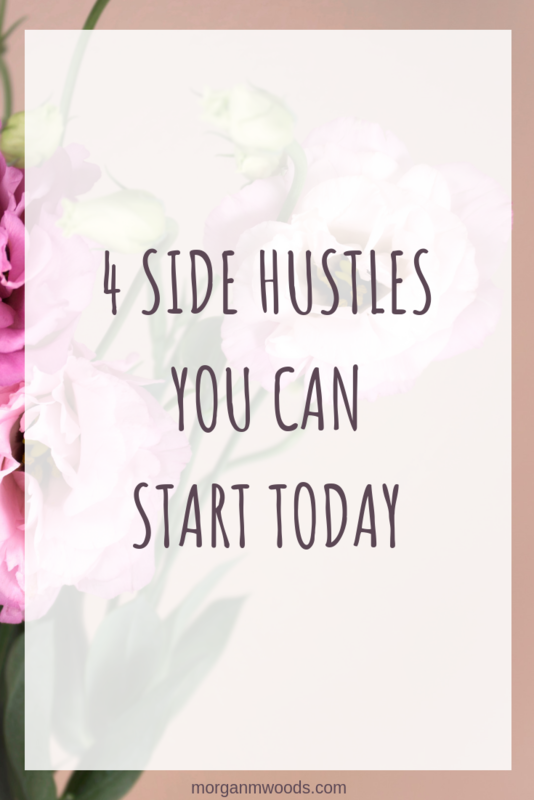 These are all side hustles you can start today if you wanted to. 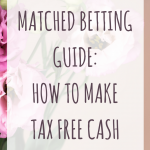 One of my favourite side hustles has got to be matched betting. 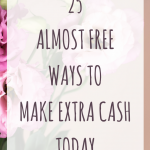 It might not be everyone’s cup of tea but it’s a great way to make some extra risk free and tax-free cash from home. 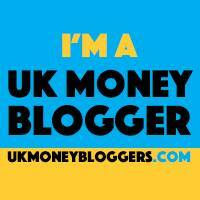 In fact during the past 18 months I’ve made around £10,000 just from matched betting. I understand a lot of people are put off at the idea of matched betting. They often think it’s a scam or one of those ‘too good to be true’ kind of things. Some people hear ‘betting’ and think that there is some risk involved and they may end up losing their money. I have to admit these thoughts went around my head too before I got started. But out of all the side hustles I do, this one still offers the highest reward for the time I put in. One of the easiest side hustles to get started with is completing surveys for money. All you need is a working computer and/or a phone to start getting signed up to a few survey sites. It definitely won’t make you a millionaire any time soon but you can easily make an extra £50 each week. I would really recommend signing up to Pinecone Research as they pay £3 for each survey you complete with them. The surveys tend to last around 20 minutes each and are very easy to complete. This is my favourite survey site as I very rarely get screened out of surveys and the payment is worth the time spent. Prolific Academic are another favourite go to survey site of mine. The best thing about Prolific is they never screen you out. As long as you keep your profile questionnaire up to date you’ll only receive studies suited to you. You do have to log in to Prolific regularly to keep up to date as they very rarely send out emails. 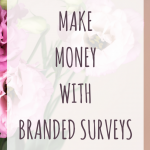 Branded surveys are another survey site worth signing up to. They have very regular surveys and a daily poll to earn points which you then convert into cash. 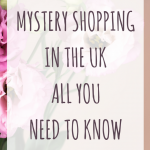 If you love getting out and about then mystery shopping could become your new favourite side hustle. It’s often pretty simple work that involves going into a shop or restaurant, purchasing something and then reporting back to the mystery shopping company. If you’ve never tried mystery shopping before then I would recommend signing up to Marketforce as your first port of call. They are the company that I first registered with and still use to this day. Okay so this is definitely a side hustle that anyone could start today. Most people have old junk that we just don’t need anymore lying around the house picking up dust. You could release some extra cash by selling it on to a new home. eBay is the place that most people first think of when it comes to selling their old junk and it’s a great place to start if you only have a few bits to sell. But if you have a lot of items such as DVD’s then selling them through Music Magpie may be more time effective. Don’t forget your old broken games consoles, phones or other tech can also be sold through Music Magpie too. If you find that your really enjoy selling stuff then you may want to consider becoming an eBay reseller. You could use any funds earned from your junk to buy in your first lot of stock, which is what I did.